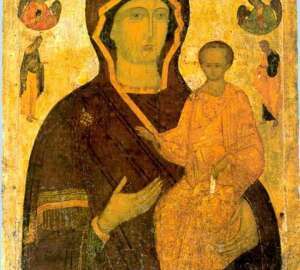 This icon from the iconostasis of the Nativity of the Virgin Cathedral, written in 1502-1503. 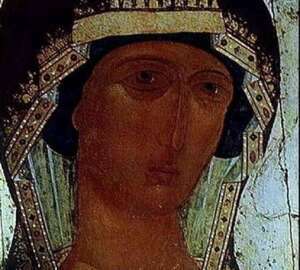 Hodegetria means the Guide. 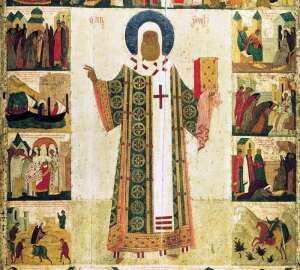 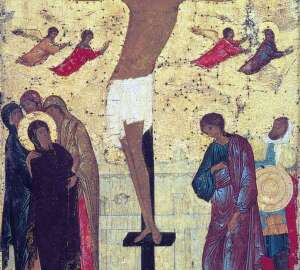 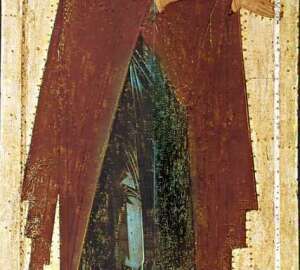 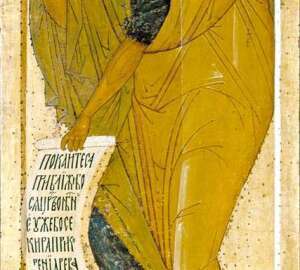 On the edges of the icon there are hallmarks – they depict the entire life of the holy Metropolitan, all the main events.